Wolverine goes to Japan to fight for Mariko. 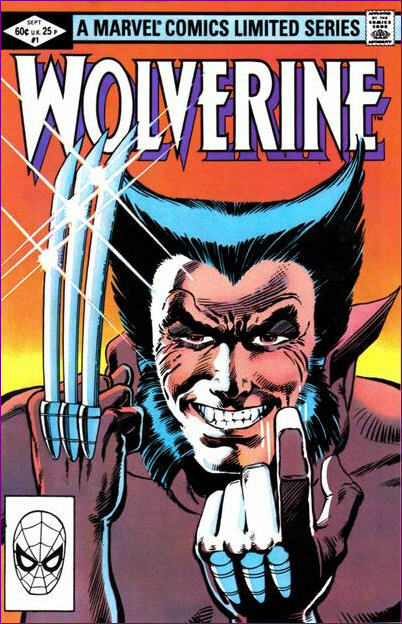 Issue #1: In the Canadian Rockies, Wolverine tracks down a wounded bear and puts it out of its misery, before capturing the hunter who broke the law in poisoning the bear. Returning to New York, he attempts to contact Mariko, but is rebuffed, prompting him to fly to Japan. In Japan, he meets with his friend Asano, a government agent, and learns that Mariko's father, Shingen, has returned and forced Mariko to marry a man to whom Shingen is indebted. 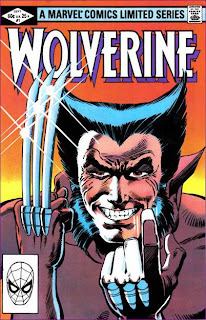 Wolverine confronts Mariko, who insists she must honor her father's wishes. Wolverine is suddenly drugged and awakens before Mariko and Shingen, who challenges Wolverine to a duel with wooden practice swords. Groggy from the drugs, Shingen easily overpowers Wolverine, forcing Mariko to concede that Wolverine is not worthy of her. 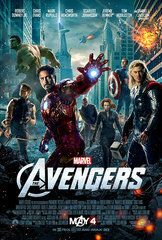 Knocked out, Wolverine awakens in Tokyo and is attacked by a street gang, but is saved by a mysterious woman. Another pretty straight-forward month, with just one oddball week mixed in amongst the regular titles. Also, I'll be out of town most of next week, so I'll be late in responding to any comments. But I will be reading them, and will get to them eventually. Marge goes to jail for shoplifting from the Kwik-E-Mart. 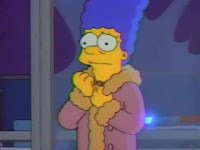 After the dreaded Osaka Flu comes to Springfield via orders of Juice Looseners and the Simpson family comes down with it, a beleaguered Marge accidentally walks out of the Kwik-E-Mart with a bottle of bourbon. 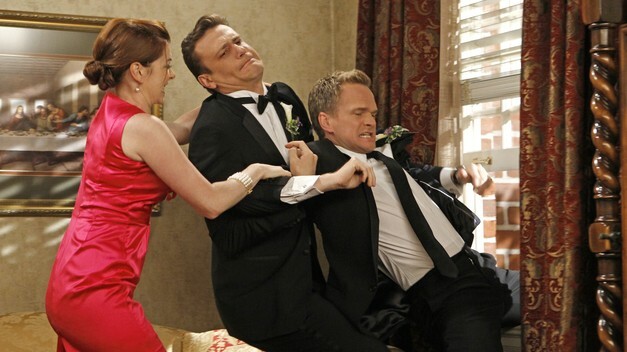 Welcome to the first "Last Week in TV" post of the 2012-2013 season! This is also the beginning of my slightly new approach to these posts. While I enjoy writing about TV every week and this series of posts remains popular amongst you guys, the readers, they are a lot of work. So in an effort to both keep myself from burning out (and thus abandoning the series entirely) and to afford me more time to work on other posts (and maybe even some fiction writing...), I'm going to approach these posts a little bit differently this season. Instead of long-winded analyses of each episode, expect shorter, in some cases more Twitter-esque, thoughts, followed in some cases by particular lines which tickled my fancy (for comedies) or questions/musings about characters and/or the unfolding plot (for dramas). For Saturday Night Live, I'll no longer run down each sketch, but just comment on my favorite and least favorite sketches in addition to general thoughts on the episode. Additionally, each season I will devote a standalone post to one show (kind of like my old Lost posts), a show which I feel deserves a longer review, either because I like it or am likely to have a lot to say about it. For now, I'm thinking Walking Dead in the fall/winter (assuming I find a way to watch the show, thanks to Dish Network's ongoing spat with AMC) and Game of Thrones in the spring. 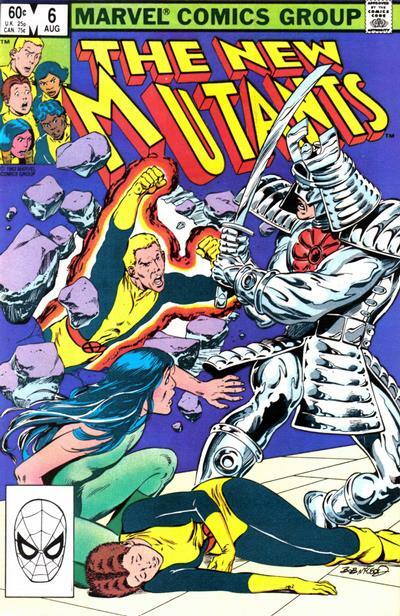 The New Mutants rescue Dani from Viper and Silver Samurai. In San Fransisco, the New Mutants attack Karma's criminal uncle, General Coy, looking for information regarding Dani's whereabouts. Taking control of his mind and ordering him onto the ledge of his high rise, Coy calls Karma's bluff, knowing she won't kill him. Instead, she pledges to work for her uncle for one year in exchange for the information. In Mexico, Team America trains in preparation for their attempt to retrieve the crystal Viper wants, while Professor X monitors them telepathically. At Viper's base in California, Dani contemplates escape while Viper and Silver Samurai discuss going to Japan to claim Silver Samurai's inheritance. In Mexico, Team America infiltrates an A.I.M base and retrieves the crystal, though doing so unknowingly unleashes a savage psychic attack which Professor X realizes came from a mutant. In California, as the New Mutants attack Viper's base, Karma's is contacted by the same malevolent psychic presence. In the Morlock Tunnels, Storm orders the Morlocks to cease their attacks on people living above ground. 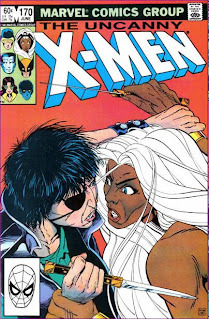 A recovering Callisto tells Storm she intends to reclaim her place as leader of the Morlocks, and Storm tells Callisto not to push her luck. In Alaska, Madelyne awakens from a recurring nightmare and tells Scott that years ago she was the sole survivor of a plane crash. Scott realizes the crash occurred on the same day as Jean Grey's death. In Massachusetts, Carol Danvers visits her parents, while in New York, Professor X continues his physical therapy. Sensing someone at the door, he telepathically sends Colossus to greet their guest. 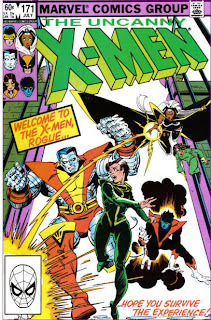 Colossus opens the door to find Rogue waiting. 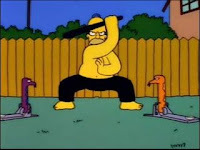 Bart and Lisa team up to stop Whacking Day, a local holiday involving the beating of snakes. After Bart ruins an inspection by Superintendent Chalmers, he is expelled and Marge is forced to home-school him, inadvertently teaching him the knowledge he needs to help Lisa stop Whacking Day. The New Mutants team-up with Team America to fight Viper and Silver Samurai. The New Mutants attend a local fair, where Roberto is excited to meet the recently-retired stunt motorcyclist group Team America, though neither group realizes they are being watched. The New Mutants attend Team America's grandstand show when a group of armed thugs suddenly rush in and attack Team America. 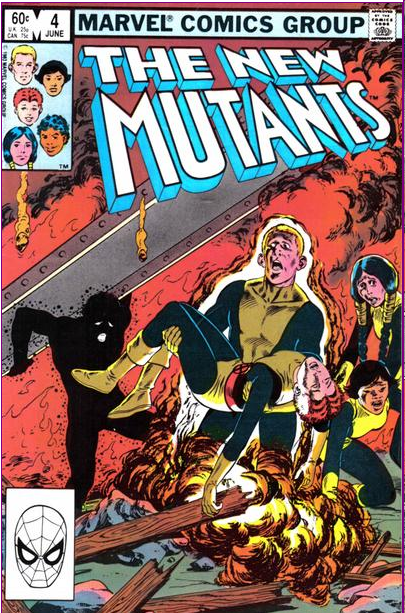 The New Mutants spring into action to help the bikers and protect the crowd. As the New Mutants gain the upper hand, the Silver Samurai enters the fray, drawing out the Dark Rider, the mysterious bodyguard of Team America. Silver Samurai manages to knock out the rider and remove the helmet, revealing Dani. His objective to capture the Dark Rider complete, Silver Samurai teleports away. 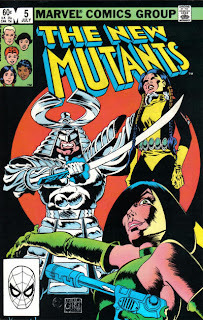 Elsewhere, Dani awakens and is taken before Silver Samurai's partner Viper, who demands to know what her connection to Team America is, but Dani insists she has none, and doesn't remember acting as the Dark Rider. 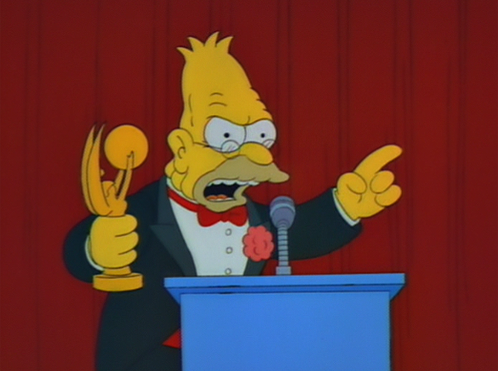 Bart and Lisa ghost write an episode of Itchy & Scratchy using Grampa's name, while Homer retakes a failed high school science class to earn his diploma. After watching a lackluster episode of Itchy & Scratchy, Bart and Lisa determine they could write a better episode, but are forced to submit it under Grampa's name to be taken seriously. 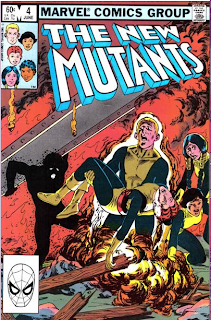 The New Mutants help track down someone who is stalking Stevie Hunter. At her studio, Stevie and Karma discuss the disturbing phone calls Stevie has been receiving, and the fact that police are unable to help her. At the mansion, Professor X calls a meeting of the New Mutants and tells them that though he gathered them under the influence of the Brood, they all have a place at the school and he'd like them to stay. 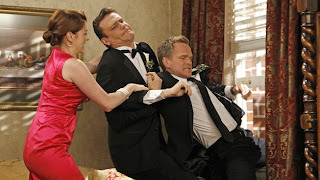 They agree, and then Karma tells Xavier about Stevie's situation. He agrees to let the New Mutants investigate so long as they submit their plan to him for approval. At Stevie's apartment, they trace one of the phone calls to a nearby phone booth, and Rahne is able to track the scent to the local high school. With Sam and Rahne keeping watch, the rest of the team goes inside to flush out the culprit. When one of the boys sees Stevie, Rahne senses his surprise and fear, and through their rapport, points him out to Dani. The X-Men meet the Morlocks. Candy Southern comes home to the Manhattan penthouse she shares with Angel to find him missing and intruders in the house. She calls Professor X for help, but is cutoff by one of the intruders. 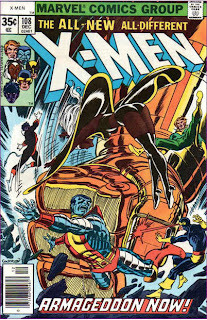 Professor X telepathically alerts Nightcrawler, nearby with Amanda Sefton, to the situation, and Nightcrawler teleports to Angels' penthouse in time to see Angel being carried into the subway moments before Candy is thrown through the window. Meanwhile, Sebastian Shaw arrives at the Hellfire Club and discovers that the White Queen has been rendered comatose by a malevolent telepathic attack. 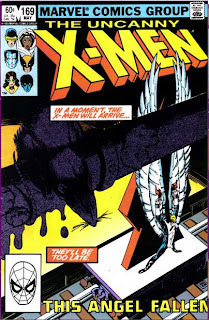 Later, the X-Men convene at Amanda's apartment to debrief Candy before setting off to follow Angel's kidnappers into the subway. Underground, they're attacked by a small group of Morlocks, mutants living underground, and Kitty is ordered to break off and scout the area.